An engine failure forced an Air New Zealand flight carrying 151 people to make an emergency landing at Melbourne Airport 30 minutes after taking off last night. The Auckland-bound Airbus A320 travelled about 30km over Melbourne's eastern suburbs before turning around over the Dandenong Ranges and returning to the airport. Emergency procedures were activated and more than a dozen fire crews rushed to the scene but they were not required as the twin-engined aircraft landed safely on one engine shortly before 8pm. Passengers said there was no bang from the engine and the first they knew of a problem was when the entertainment system turned off and crew started clearing the emergency rows. Others described feeling unsafe and being unsure about what was happening. Melbourne mum Karly Nathan said she feared for her life and the lives of her two children, aged four and eight. "I looked out the window and it looked like the plane was going to dive into the ground," she said. "I was scared but I had to put on a brave face for my kids." The 32 year-old said the flight was "very turbulent" as soon as they left the tarmac and passengers were not given any information until they landed. "They didn't tell us anything until we were on the runway," Ms Nathan said. "The pilot came on and spoke to us and he said it was an engine failure." She said the delay had "majorly disrupted" their holiday to her home town of Auckland but said she was very grateful to the pilots for safely landing the plane. "He did a pretty good job, it would have been hard to do," she said. Another passenger told the ABC "it felt like a wing was going to fall off". "It didn't feel safe at all," the passenger said. Passenger Tobias Haque said he was worried when crew started clearing the emergency rows. "You think something's not right here, they are preparing for the worst," he told the ABC. Mr Haque said passengers were waiting for an announcement from the crew, but there wasn't one. ABC reporter Dan Confier told Radio New Zealand: "It was only once they got onto the ground that the pilot came over the PA system and reportedly said that one of the engines had failed during the flight." Some passengers said it seemed to be a normal landing, he said. New Zealand comedian Michele A'Court was on the flight and said it was "quite full on". "Took off. Engine stopped working. Turned around and landed back in Melbourne. Quite full on," she posted on Twitter. She and fellow passenger Jeremy Elwood praised the pilot and crew for landing the plane safely. "Pilot came out when we landed and apologised for not explaining the emergency because he was busy. Fair call!" 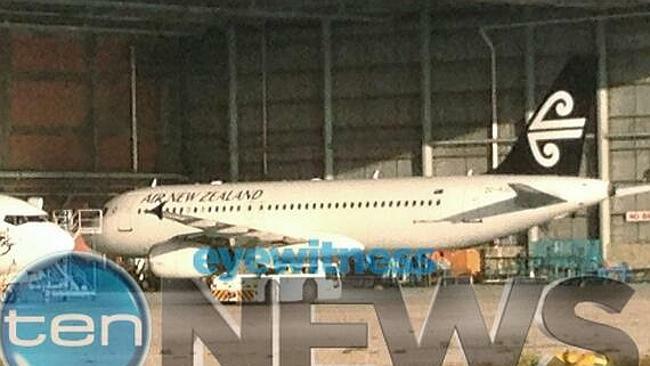 Air New Zealand spokesman Andrew Aitken said there were 145 passengers and six crew on flight NZ726, with the passengers due to be accommodated on other flights today. He said engineers were investigating the fault but rejected suggestions that the plane had a fuel leak. Australian Transport Safety Bureau spokesman Stuart Macleod said safety investigators were looking into the incident. 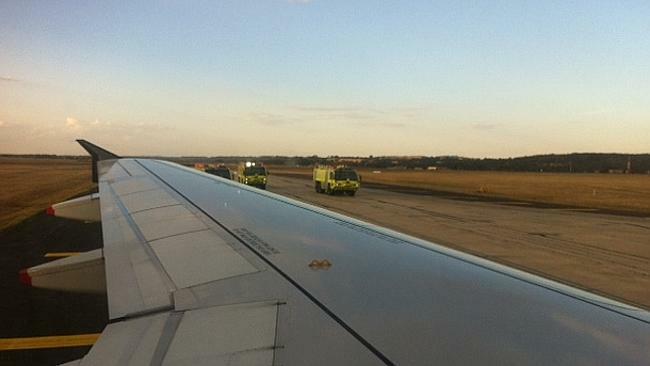 Other arrivals into Melbourne were seen holding as the Air New Zealand flight prepared its emergency landing. Flights into Melbourne Tullamarine Airport shortly resumed after ZK-OJC landed safely.